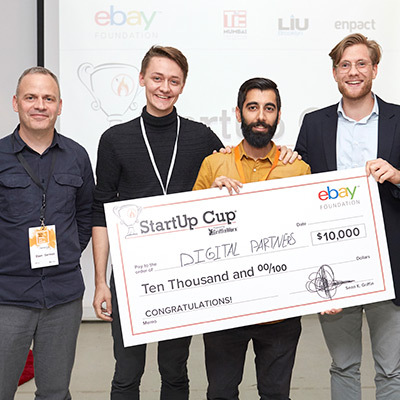 The eBay StartUp Cup Challenge Business Model Competition transforms lives! Meet the 2017 Winners. FIRST PLACE WINNER | Digital Partners is an Online Marketplace that connects and helps navigate the tech ecosystem to empower relationships between tech startups and SMEs. They collect, structure and analyze companies, products and technologies using advanced database and analytics tools, making it easy for businesses to find technology providers and strategic partners to tackle digitalization needs. With feedback from the Startup Cup mentors, they developed a simplified brand outline, marketing strategy and business model. This helped to close strategic partnerships with industry associations, corporates and SMEs. As a result, Digital Partners earned first revenues in September 2017. The product was improved to create immediate match-results and hence, faster value for users. Within 2 weeks after these releases, 31 new businesses signed up to the platform. SECOND PLACE WINNER | The Menstrual Health Hub (MH Hub) is a global and interdisciplinary Community of Practice (CoP) for menstrual health actors and practitioners. The MH Hub seeks to overcome geographical and thematic barriers to help professionalize a fragmented field and strengthen collective impact at the local, regional and global level. 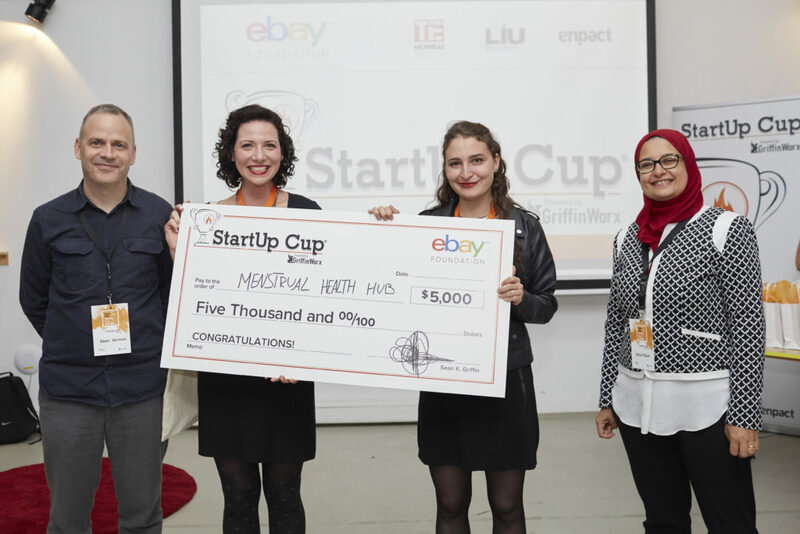 Participation in the eBay Startup Cup has empowered the MH Hub to pivot away from a traditional NGO model into a hybrid, sustainable social business with a multifaceted business model. In the few months after the Award Ceremony, the MH Hub has established multiple partnerships, including with a global textile brand for consultancy services and with a feminist investor, The Case for Her, in which they coordinated a high-level strategic summit around scaling impact in East Africa. They are also developing business with clients from Zimbabwe to Germany on organic product market entry strategy and how to enhance the body of research around female health through big data. THIRD PLACE WINNER | By Heart Projects believes that social entrepreneurship is the answer to solving the global issues that face us today and tomorrow. We inspire, facilitate and mobilise the next generation of social entrepreneurs by empowering high school students with the knowledge and skills necessary to pursue social entrepreneurship as a career. We do this by offering an independent e-learning course specifically designed for 16 to 18 year old students. When beginning the competition Natalie had a clear vision for the company and created a strong business plan during the Extreme Build-a-Business weekend, with input from the mentors. From that starting point she recruited the team of 8, developed partnerships, launched the website and together with the By Heart Projects team developed a functioning product. The e-learning course and curriculum is currently being tested by students in it’s BETA version. StartUp Cup | Pakistan’s Largest Business Building Competition is Running. Sponsored by the eBay Foundation, a corporate advised fund of Silicon Valley Community Foundation, and powered by GriffinWorx, the eBay StartUp Cup Challenge is an innovative community-based initiative designed to increase the quality and quantity of entrepreneurs in any community. To launch your own StartUp Cup visit GriffinWorx.org.